Both the multi-state lotteries are swelling. Win them both for a half-billion cash prize! Republican judge says gerrymandered “congressional maps aren’t unconstitutional.” Next step: Pennsylvania Supreme Court. The recent “much publicized” Our Home of Hope property transfer is listed in the DEEDS RECORDED in today’s LNP – Always Lancaster. 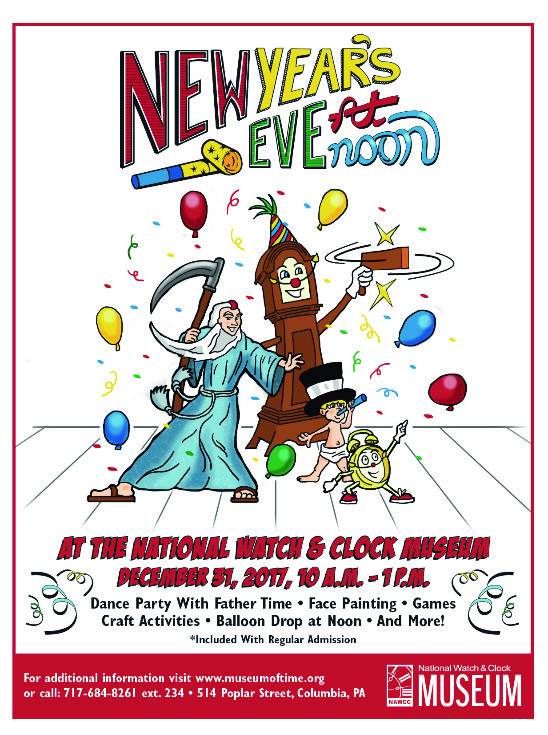 Ring in the New Year with Father Time at the center of time—The National Watch and Clock Museum. The Museum’s New Year’s Eve at Noon event on December 31 is the only local New Year’s Eve party designed specifically for children during daylight hours! Take a look here to experience the deafening and incredibly exciting countdown from last year! Opinion Column: “Here’s one last look at the year’s top stories” – A “mix” between true and could be true news from this Morning Call writer. Next It’s a brand new canvas … a brand new year! Orwell published that book in 1950. Do you think things have changed since them?